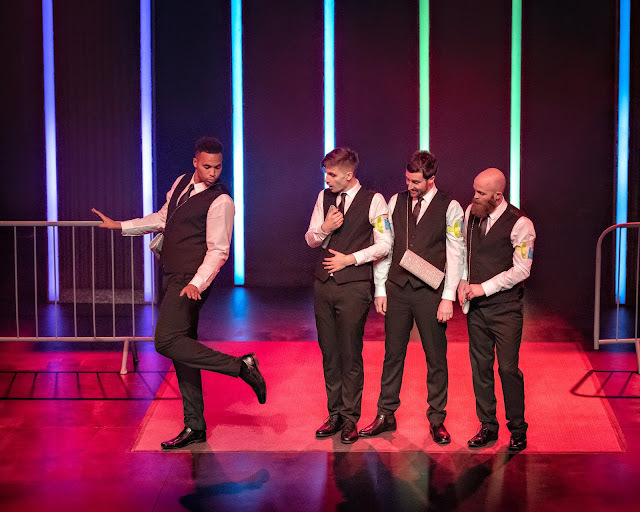 'This new production of Bouncers has been re-imagined for the new generation of nightclub goers'. 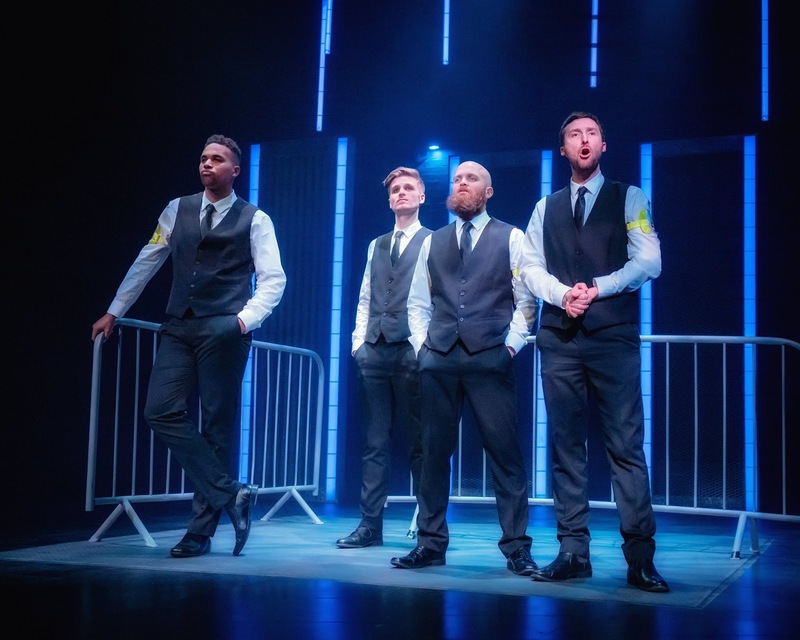 Darren and I were invited this week to visit Hull Truck to watch the performance of Bouncers! We saw it advertised a little while back and said we really wanted to go so when the opportunity arose we jumped at it! We had heard so many great reviews of the performance over the years so we wanted to check it out for ourselves. With not a lot of knowledge about the storyline, I was excited to see what it was all about. I was told that it was very funny and I must say it did not disappoint! Judd, Les, Ralph and a chap named Lucky Eric took the stage to tell the tale of how a typical night out pans out for a group of young gals and a group of young guys while also sharing how life is 'on the door'. You know when you are thinking its funny because it's true - well this show really does sum that up! I placed myself there in that group of drunk girls doing shots at the bar, dancing on the sweaty dancefloor (even the running to the toilet to throw up!). It really did amaze me how such a plain setting, limited props, and no wardrobe change still managed to set the scene and describe exactly how each scene would be carried out. This really was a laugh out loud show and I would wholeheartedly recommend if you are free over the next week or two to book a ticket and to get yourself there. As mentioned it is showing at the Hull Truck until 16th February and I believe there are still tickets available, however, it is touring the UK so there may be other opportunities for you to catch it. *Tickets given in exchange for a review - all opinions are my own.